Part 2: Is Dissolution or Uncontested Divorce Right for You? How much spousal support will be paid per month? Have the parties planned for the tax effect of spousal support? How long will spousal support (or alimony) be paid? Under what conditions will spousal support stop? Death of the recipient only (payable by the estate)? Expiration of the period of years? Will spousal support obligations be insured with a life insurance policy? If life insurance is to insure the obligations, who will pay for the life insurance? If the parties have no children and no child support is being paid, spousal support can be paid, but is not required to be paid, directly to the recipient. Will spousal support be paid through wage withholding or directly to the recipient? Is the amount of spousal support that will be received set out in a Prenuptial Agreement (aka Antenuptial Agreement, or “prenup”)? If a Prenuptial Agreement dictates how much spousal support will be paid, or how much spousal support will be paid, is that amount still fair in light of the parties’ current circumstances? (The keyword here is unconscionable – and whether the amount is unconscionable is determined based on the parties’ circumstances at the time the marriage ends, not the time the marriage begins). If health insurance is provided through one spouse’s employer, are COBRA benefits available to allow the other spouse to keep their health insurance? If COBRA is available, how much does it cost? Is either spouse going to seek COBRA coverage? If so, who will pay for it? If COBRA coverage is not available, does the spouse who will be losing coverage have health insurance available through his or her employer? If private health insurance is necessary for the spouse losing coverage, how much does it cost? If the parties have children, who will provide health insurance for the children after the dissolution? What percentage of co-pays and other costs for the children’s medical care which are not covered by insurance will each parent pay? Are medical care expenses going to include dental, psychological, counseling and other expenses? Part 5: Where will you live? 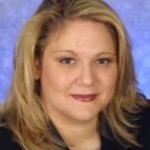 Series on Divorce Part 18: Can you get a divorce or dissolution in Ohio while pregnant? 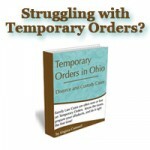 In addition to the other installments in the Dissolution in Ohio Series (see links at top of the page), you may also find the following topics, which relate to divorce, to be helpful. House- Who Gets the House in Ohio Divorce? Where will you live during the divorce? DISCLAIMER – Read it, it’s stuff you need to know!